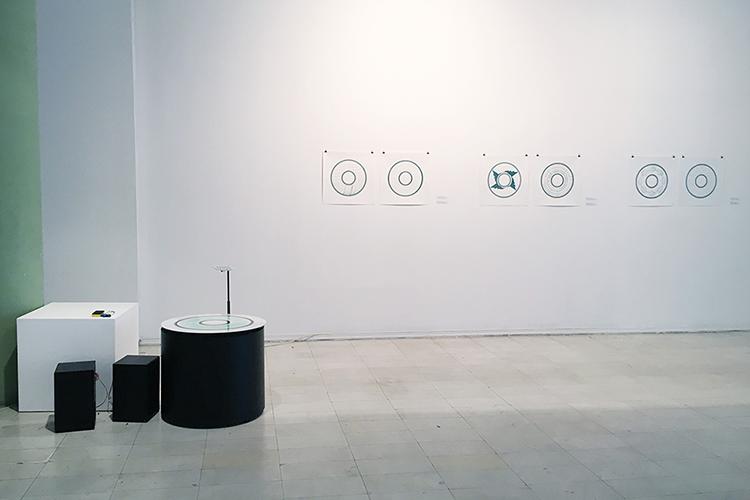 Active Process is an interactive sonic installation that deals with the carbon cycle. 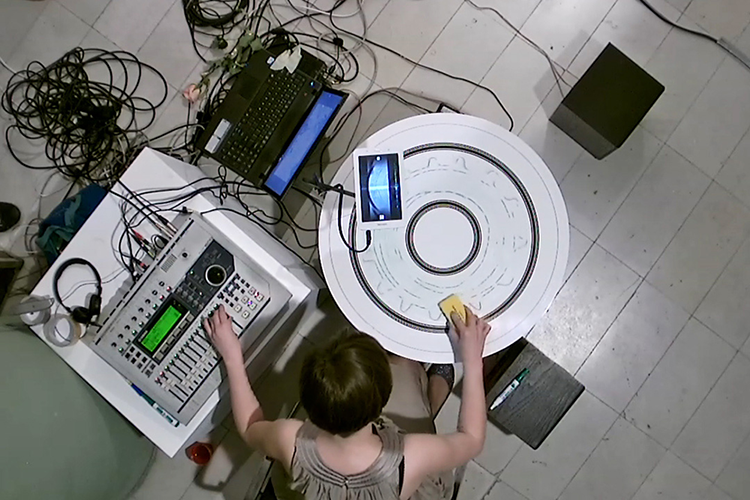 Inspired by electronic music pioneer Daphne Oram’s Oramics machine that uses drawings to create sounds designed in 1957, as well as the ANS Synthesizer that uses similar techniques, designed by Russian engineer Yevgeny Murzin from 1937 to 1957, the piece is essentially a machine that turns drawings into sound. 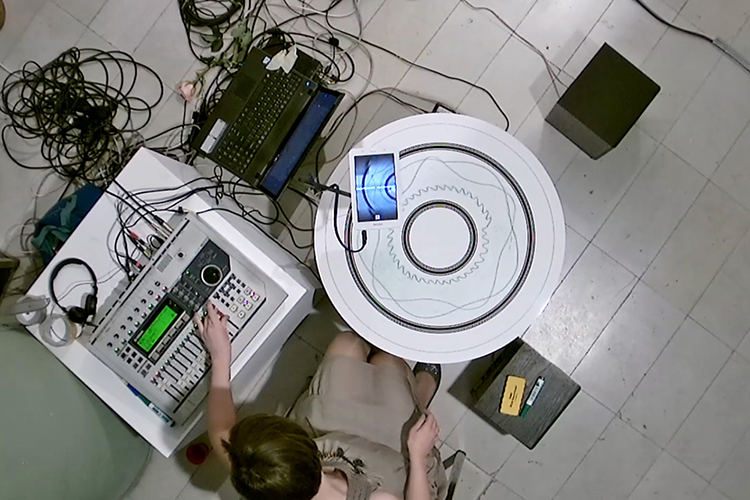 By using a rotating motor with adjustable speed and the digital application Phono Paper created by Russian programmer Alexander Zolotov, the work invites participants to experiment with drawn sound waves. 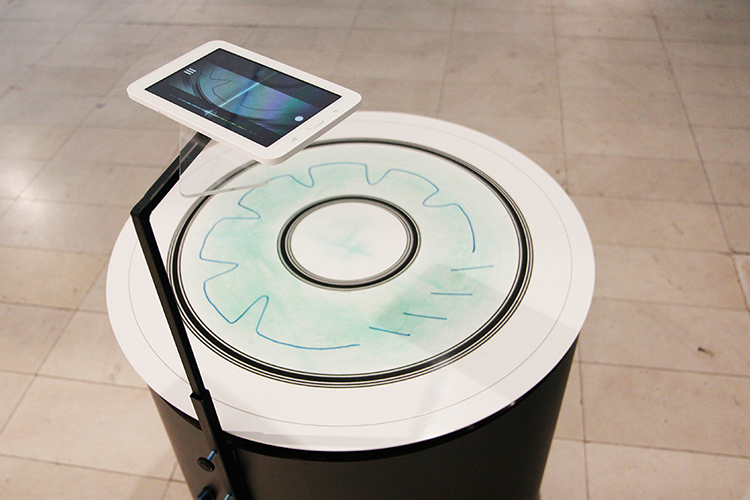 As the drawing surface rotates, the sound is looped in an endless cycle. This cyclical movement of the sound is used as a metaphor for the carbon cycle, the series of processes by which carbon compounds are interconverted in the environment, involving the incorporation of carbon dioxide into living tissue by photosynthesis and its return to the atmosphere through respiration, the decay of dead organisms, and the burning of fossil fuels. The participants’ interaction with the piece illustrates our active participation in the carbon cycle process as the human factor. Active Process is part of a larger series entitled Carbon Memories, first shown at the NI MoCA Skopje in May 2016. 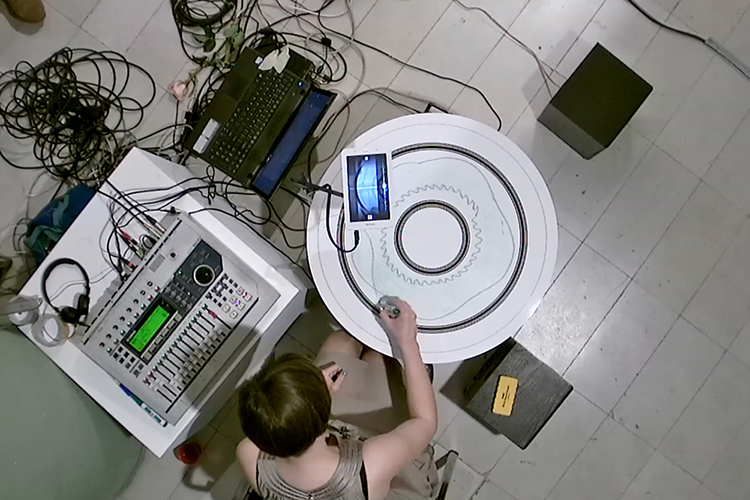 On the opening night of the show, the artist performed a sound performance entitled Active Process_01.